On the day she is born this amazing baby proudly announces she can out-talk, out-grin, out-scream, out-swim, and out-run any baby in Kentucky. Within a few years Sally is off to the frontier, where she stuns a hungry grizzly bear, makes a lasso out of six rattlesnakes, and is more than a match for the mighty Mike Fink. 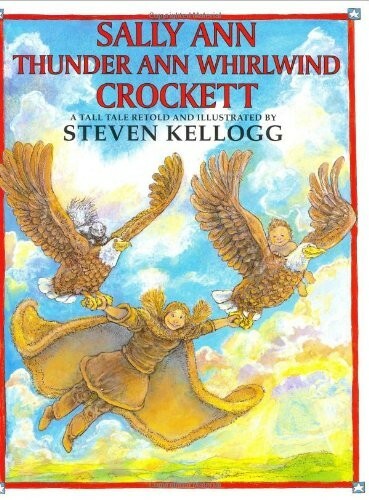 And when Sally Ann rescues Davy Crockett from a pair of ferocious eagles, even her hornet's-nest bonnet and skunk perfume don't stop him from proposing marriage. 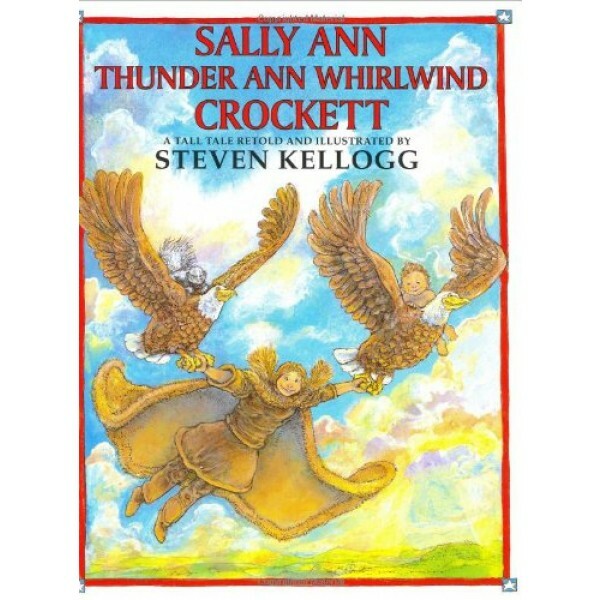 You won't find Sally Ann in any history book, but that hasn't kept her from becoming an authentic American frontier legend and the unforgettable heroine of Steven Kellogg's most delightfully rip-roaring tall tale.